Mário Macilau (1984, Mozambique) was born in Maputo where he currently lives and works. In newly independent Mozambique, during the most critical phase of the civil war, his family struggled with financial difficulties and moved from the province of Inhambane to Maputo capital in search of a better life. At the age of ten, he began to work in a small market frequented by the middle / upper class and helping to carry the groceries and washing cars at the park in an effort to support his family. 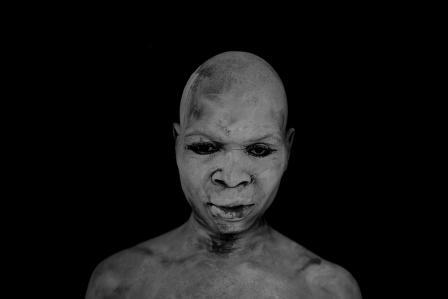 Macilau started his journey as photographer in 2003 and went professional when he traded his mother's cell phone for his first camera in 2007, he specializes in long term projects that focus on living and environmental conditions over the time that affects the social isolated groups. 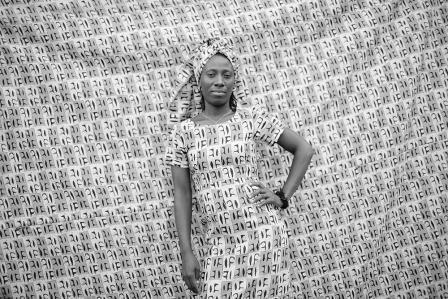 His work has been recognized with awards and featured regularly in numerous solo and group exhibitions both in his home country and abroad including: The Pan African group exhibition during the Biennale of African Photography in Bamako, Mali 2011, VI Chobi Mela Photo Festival in Dhaka, Bangladesh 2011, Photo Spring in Beijing, China 2011, Lagos Photo in Lagos, Nigeria, 2011, BESphoto at CCB - Centro Cultural de Belém in Lisbon, Portugal 2011 and Pinacoteca de Estado de São Paulo in Brazil, the KLM in Kuala Lumpur, Malasya , 2012, The Johannesburg Art Fair 2013, Les Recontres Picha in Lubumbashi, RD Congo, 2013, The Biennale Arts Actuels in Saint Dinis, Reunion Island 2013, The African Art Auction in London, England, 2013 and among others. He has also completed a number of artistic residencies. Mário Macilau´s photography artwork focuses on political, social and cultural issues, linked to the radical transformations of the human kind in time and space. In his photography, he deals with the complex reality of human labor and the environmental conditions evolving over the times, using the images he captures as a form of visual confrontation that state a line of reflection to the reality. He usually works on short and long-term personal projects, in which those subjects are treated on his "Island of Dreams". The main characteristic of his representations is the details of his portraits, in which the expression of the characters revile their likeness and personality, making us travel through bodies that contain a vast inner reality and the experience of reality itself. In his projects, he uses a variety of techniques and photographic processes, making his work consistent with the subject matter and his artistic identity. What makes his photographs recognizable is the capacity to invade the people´s hearts and capture their feelings. The subjects come from different times, states of mind, surroundings, people and their stories that unfold over his eye, seeking what still remains unknown inside him. 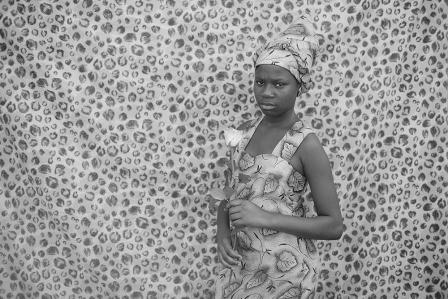 For him, working with the ghosts of society as the main characters of his photographs is a long story, dating back to the time when he washed cars on the streets of a post-war Maputo. He was a ghost of society and would have disappeared in the city if photography had not intruded on his way, as a child in a mother's life. This experience triggered the foundations of a nonconformity lifestyle, in which he uses photography to communicate his experience with the human greed, seeing the weakest generate the wealth of the strongest, with human misery as their unique compensation. In this sense, what motivates him to go out and photograph is, obviously, the people and their stories, because he believes in them and in photography as a tool for social changes. Aljazeera interview with Mario Macilau: http://www.aljazeera.com/programmes/artscape/2013/04/2013422111558769256.html.